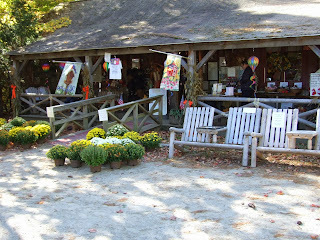 A Lovely Life, Indeed: A New England Gem...Parker's Maple Barn...a Pancake Paradise! A New England Gem...Parker's Maple Barn...a Pancake Paradise! It's hard not to love pancakes. The very suggestion of pancakes can create an not-so-subtle whiff in search of their aroma. If you're in New England, or if you happen to be up for a foodie road trip, Parker's Maple Barn is the destination for you. What began in an authentic sugar house in the 1960s, has grown to a full service restaurant, serving breakfast and lunch and real maple syrup. For die hards, table syrup is never an option and luckily, Parker's, in Mason, New Hampshire, delivers the real deal. The menu is impressive. There are always buttermilk, blueberry, pumpkin and buckwheat pancakes, but there is also a pancake of the month. This month's was apple cinnamon. 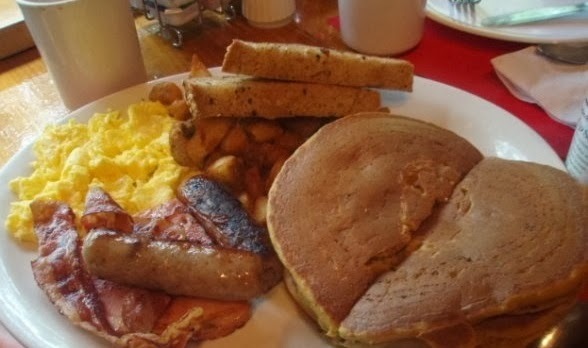 The Parker's Special offers two pancakes, two eggs, bacon, ham and sausage or all ham hash, home fries and thick homemade toast, served with their own maple syrup. They also offer a Mini Special, which is one of everything, instead of two. From maple frappes (shakes/milkshakes) and maple caramelized onion and Swiss burgers to maple-glazed ribs and maple baked beans, there is something for everyone...even the more health conscious, offering egg substitutes, turkey kielbasa and even...sugar free syrup. Waffles and French toast are also available, but the pancakes steal the show. If you can't bear to part without taking all-things-maple home with you, there's a gift shop, where they sell that, and other New England and Native American inspired treasures. Parker's Maple Barn is located in Mason, New Hampshire, off route 13 in Brookline. Follow the signs into the woods and you will find the spot. Be prepared for a wait... weekend mornings can be brutal. But, there are Adirondack chairs and rockers, and an outpost selling coffee and donuts to tide you over while you wait. So, if you're in the area, and even if you're not, consider a foodie destination and check out Parker's Maple Barn. You may suffer from sugar shock, but it's a good kind of wrong. This sounds like a great place to stop. Looks like a place I was at in Vermont earlier this summer, too. It's the quintessential New England foodie destination. Love it! Thanks for stopping by, PJ! OMG! I would be all over that breakfast! This place sounds awesome. Give me those blueberry pancakes! My favorite are the pumpkin. I once had the chocolate cherry...delish! Thanks for stopping by, Phil! Those pancake look amazing!! Im hungry now! haha! Hi Jennie! They are fabulous! Thanks for stopping by. I will definitely pop in at Diary. Thanks again!